Headhunter D.C...s history begins in the year of 1987, when guitarist Paulo Lisboa decides to form a new band after his old group, T..mulo, splits up. Joining forces with him originally are: bassist Luciano, vocalist Eduardo ..Falsão.. and drummer Ia..anã Lima, who at that time played in legendary ThrashMassacre. Still before its first birthday, the band makes its debut live performance, now featuring Ualson Martins on the bass guitar. In 1989 Headhunter D.C. releases the first demo ..Hell is Here.., which gets a great response in the Underground Metal scene, also being distributed in the USA through the label Wild Rags Records. The acceptance of ..Hell is Here.. is so strong that in the following year Headhunter D.C. signs to the well known Brazilian label Cogumelo Records. Before this, vocalist Falsão leaves the band, being replaced by S..rgio Baloff. 1991 is the year of the classic debut album ..Born...Suffer...Die.., which makes Headhunter D.C...s name nationally known. Soon came the first gigs in another states, and the band quickly becomes one of the greatest exponents of Brazilian Death Metal. At this time the band ..feels.. the need for a second guitar, and Simon Matos (former Putrefaction) is summoned to join the group. The band..s sound becomes more brutal and heavy, both live and in the studio. Two years after the debut, Headhunter D.C. releases ..Punishment at Dawn.., also on Cogumelo Records. In this album, the band..s line-up registers another alteration: T..lio Constantin (former Calvary Death) assumes the drumsticks in Ia..anã..s place. With this line-up, the band hits the road for its first tour, baptized as ..Punishment Tour... Between the years of ..93 and ..94, Headhunter D.C. plays in the states of Bahia, Sergipe, Cear.., Rio Grande do Norte, Minas Gerais, Rio de Janeiro and São Paulo. At the same time, the album is distributed in Europe by the Dutch label Black Water Records. Back in its hometown, the line-up changes again: T..lio and Ualson leave the band and are replaced by Andr.. Moys..s (former Sepulchral and Mercy Killing) and Alberto Alpire (former Obliteration) respectively. Headhunter D.C. begins a new phase then. With all these changes the band..s sound matures, but without ever leaving the old vein of fury and aggressiveness, the fundamental characteristics of the band..s songwritings. Besides the sound, Headhunter D.C. also goes on some thematic changes. The new lyrics are deeper and much more introspective, expressing the musicians.. discontent before the world they live in. The dissatisfaction and the misfortune are portrayed through morbid metaphors, where death is a constant and the most beautiful dreams become terrible nightmares, symbolizing the imminent coming of a new Dark Age. Furthermore, the holy laws and dogmas are questioned through atheistic and antichristian topics. To show the work of that ..new.. Headhunter D.C., a 3 track promo tape is released, and as well as their previous works, this promo gets a great acceptance in the Death Metal scene, getting excellent reviews in several ..zines and mags, inside and outside Brazil. Also in ..96, the band appears in the compilation CD ..Omnisciens.., a tribute to the Brazilian cult act Dorsal Atlântica, released by Rock Shop Records, out of Fortaleza. After the tribute album, Headhunter D.C. has restructured its line-up again. Besides Paulo Lisboa..s memorable riffs and S..rgio Baloff..s unquestionable voice, F..bio Nosferatus (Former Infamous).. ultra heavy guitar is introduced, along with Alex Mendon..a (Former Carnified)..s remarkable bass works and Thiago Nogueira (Former Scrupulous)..s devastating drumlines, and between August and September of 1998 Headhunter D.C. finally records its ultra long awaited third album entitled .....And The Sky Turns To Black... (the dark age has come).., featuring seven mayhemic hymns of the purest, most brutal, intense and heavy (yet technical) deathmetallic Art ever heard. This piece of brutality .. also available on picture disc .. was finally unleashed through the metallic masses in March 2000 by Mutilation Records, out of São Paulo. The album gets excellent response from the worldwide scene, besides being mentioned by part of the international Underground press as one of the best South American Death Metal releases of all time, what has been leaving the bandmembers quite proud of all their arduous work. Still before the album release party, Alex was replaced by Paulo Alcântara (former Blackness), and with a new bassist the band also appears in other four tribute albums: to the ultimate gods of Death Metal, Possessed, through Dark Realm Records (USA .. yet unreleased); to the mighty Morbid Angel, on Dwell Records (USA) and to the German Thrash/Death legends Sodom (also without release date yet) and Kreator, both on Dwell also. The second semester of 2000 marks the return of the bassman Alex Mendon..a, which would come to be replaced again two years and a half later, giving continuity to a seemingly endless cycle of line-up changes in the band. In early 2001 Headhunter D.C. has signed to the North American label Mercenary Musik, out of Los Angeles, CA, and in September this same year the .....And The Sky..... album is officially released in the USA, with massive distribution in the whole North America via World War III Records. The American issue features 2 bonus tracks: Sepultura..s ..Morbid Visions.. and Possessed..s ..Twisted Minds... Also a live tape entitled ..Brazilian Deathkult Live Violence... 14 Years of Brutality!!!.. was released in early 2002 through Eternal Fire Tapes (France), extremely limited to 100 copies only, which has already become a collector..s item among the band fans around the world. 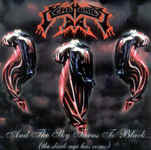 The month of October 2002 is especially marked by the long awaited re-release of the debut ..Born...Suffer...Die.. on CD format by legendary Cogumelo Records. The CD features the classic ..Hell is Here.. demo and other rare recordings (live/studio) as bonus tracks, as well as unpublished photos (..90 / ..92 period only) in its booklet. It is a landmark for the whole true Death Metal history in Brazil, besides a great gift for the Headhunter D.C. fans, followers and admirers of their hard work, as well as for all the true defenders of the old Brazilian Brutal Death Metal tradition. 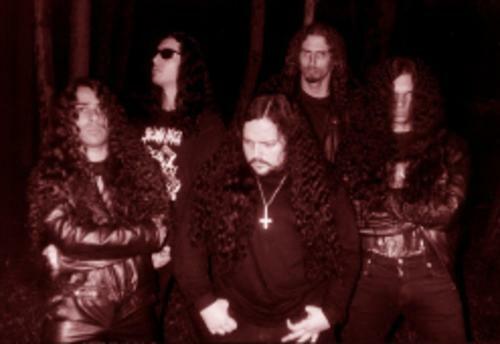 In late 2002 Alex and Thiago left the band for different reasons, and after several months looking for new .. and also confindable .. members to complete the Death Cult again, the band has finally found bassplayer Zulbert Buery (former Inoculation) and drummer Daniel ..Beans.. Brandão, who also plays in a local band called Insanctification. With that new line-up the band follows up with bloody gigs around Brazil, otherwise, after 2 and a half years of stability the band suffers another alteration in its line up, this time with the dismissal of drummer Daniel a few days before the beginning of the new album recordings. Fortunately, the band counts on the precious support of its former drummer Thiago Nogueira, who recorded all the drum sessions and also signs the production of the new album. The band is currently making tests with some local drummers to complete the Cult again soon. The new album will be called ..God..s Spreading Cancer.... (yet without a label for its release), and will be, according to its members, the best Headhunter D.C. album to date, so great is the intensity of the new songs. S..rgio Baloff himself says: Every true death metalhead can expect for another brutal assault of the purest and unholiest old school Death Metal Art coming from the very depths of our dark souls! While the new album isn..t out yet, another issue of the ....And The Sky.... album is released in September 2005, this time through Brazilian Dying Music featuring 5 exclusive bonus tracks. A contribution for the tribute LP to the American cult legends Necrovore on From Beyond Productions from Holland and a split 10.. EP with Sanctifier on French Legion of Death Rekordz are also on the way. Nothing is more fair to commemorate the nineteen years of fighting, this band, who has always taken the path against the trends, raising high the flag of the true Metal of Death, the way it was meant to exist. Tradition, essence, fidelity.. always! LONG LIVE THE DEATH CULT!!! ----Taken from the Myspace page of the band.